It doesn't look like much now, but it's most of the Koguchi Shawl from The Whole Nine Yarns blog, designed by JennaB. 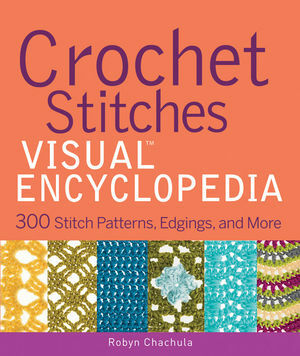 I just have the edging to go on this side, and then I have to finish the other side with chart 3 and 4. Once that's finished, I can block it. There's a reason you block lace: it makes it MUCH prettier. Thanks for coming by and seeing what's happening! 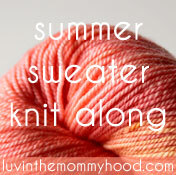 I plan on posting an update on the Crossover Lace Sweater at least once a week, as part of the Luvinthemommyhood WIP check-in. They are WONDERFUL books. The encyclopedia is by Robyn Chachula, and is better than any other stitch dictionary I've seen. 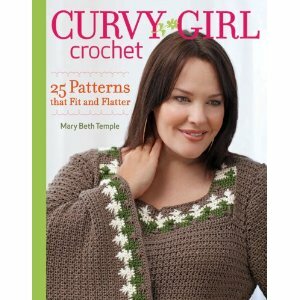 The Curvy Girl Crochet book has some really good crochet sweater patterns, although personally, I'd change up the yarns. Some of them would be better in a thinner yarn, with a smaller hook, which of course would change the gauge. But the concept is there. At any rate, it's a step in the right direction. Maybe, just maybe, I can post tomorrow another picture of Christmas in July progress. Have you guessed what it is yet? Yes? No? Maybe? Take a guess! What are you working on now? Thanks for the call-out Laura, I really appreciate it.